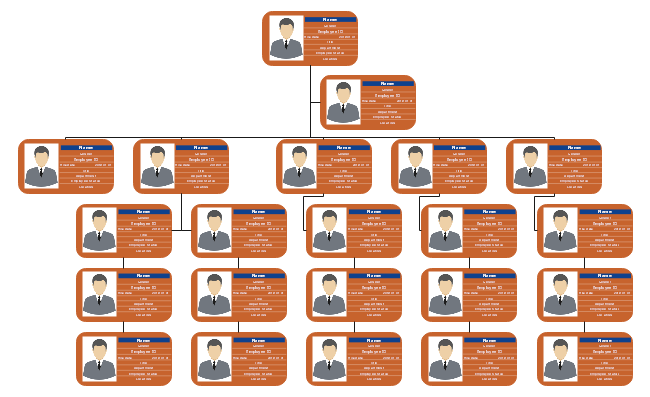 Feel free to check out this site for latest editable staff organization chart templates. Click on any of them to see more employee details. 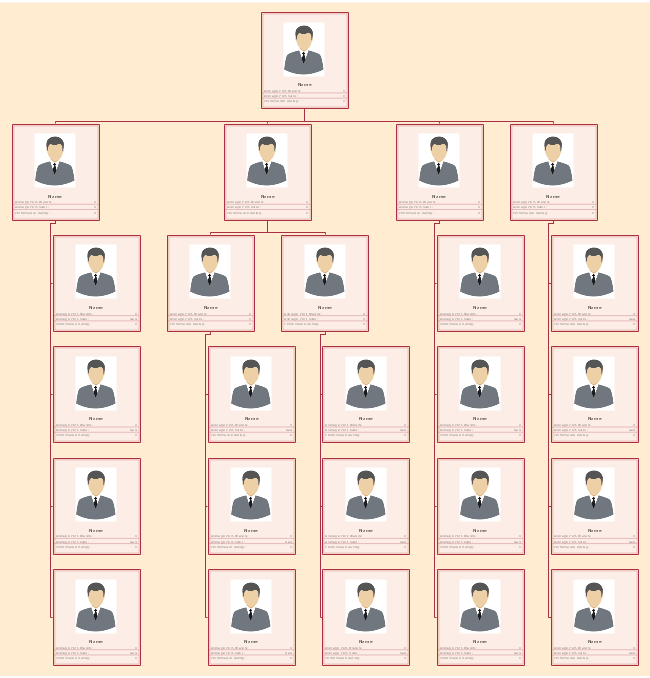 This org chart template here shows an option for the HR details of employees. You can add or remove fields such as gender, working locations, employee ID, titles, names, departments and more in the employee shapes. The second one here displays performance scores of each employee including average scores. Feel free to set more personalized human resource management measurement factors into this editable template. The following are some staff organization chart templates from different industries for your reference. Click on any of them to enlarge. 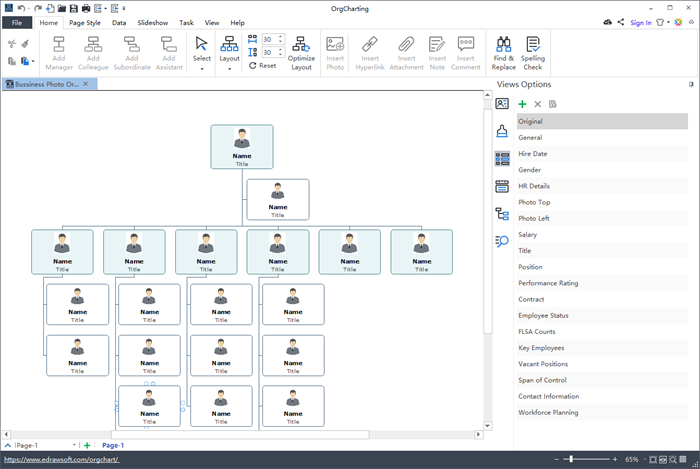 Edraw OrgCharting is an illustrative and user-friendly org chart software. If you are a human resources manager, you can easily manage your employee team based on many functions, for example, edit your employee information with much details such as names, titles, departments, contact details, salaries and more, or import/sync your local employee data files. As an employee, you can quickly find your reporting relationships and workmates. 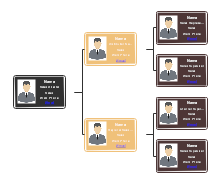 With the software, you can easily create professional-looking staff organization charts without prior diagram design experience.